Earlier this month an employee Disney newsletter mentioned an idea that was being tossed around for a Muppet reality special. The speculation is that this would be a one-shot special, not a new series. 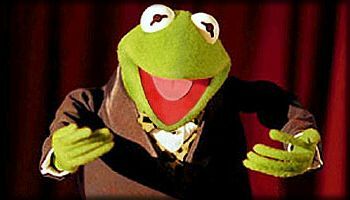 The reported plot is that the Classic Muppet characters (not the Henson performers) would be auditioning new puppeteers, potentially in an American Idol format. Characters like Kermit, Miss Piggy and Gonzo would be the judges auditioning new puppeteers. Sources have confirmed that a reality show pitch pilot was filmed in Los Angeles during the summer of 2004. Reportedly, Chris Curtin, vice president and general manager of the Muppets is a major backer of the project. 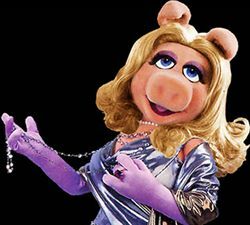 Some fans have speculated whether or not it is a good idea for the Muppets to jump on the reality show bandwagon, knowing that reality TV is most likely a fad that will eventually play itself out. On the other hand, parody is what the Muppets do best and it might help to reach a wider audience of teens and adults. The special could potentially air alongside the Muppets’ Wonderful Wizard of Oz movie next May. Or it may never make the airwaves. Don't worry Simon. Your job at American Idol is secure.